Coaching Connect supports coaches in finding their authentic voice. Design Inspiration designed a logo and website to help Coaching Connect in their mission. They came to Design Inspiration because they wanted a versatile, portal-style website that would engage their community of coaches. They knew we had already done this for other clients and the success of our own community hub website, InPymouth.com was a model they were keen to emulate. 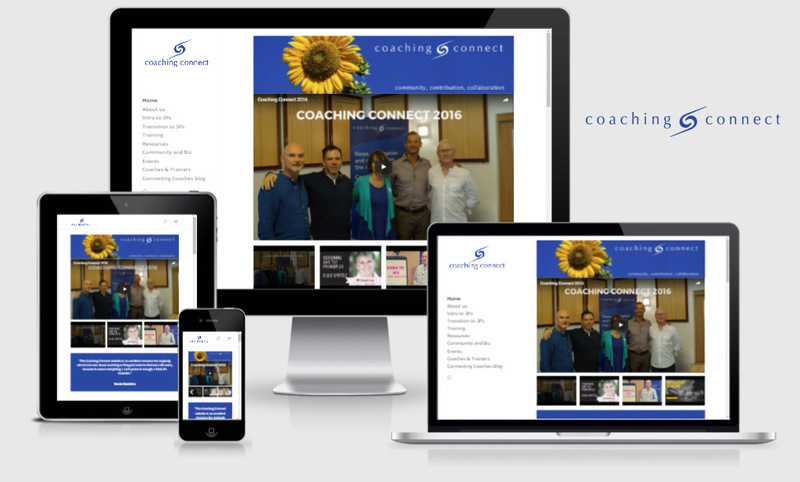 After a process of analysis and discussion, we moved quickly to create a website that they could fill with articles, information, inspiration and support for coaches. They also wanted to be able to update it themselves and to include a blog to the site. We built a striking site that clearly signposts the wealth of material they have included and added a blog, a database of coaches and an events calendar. Then we gave some training on using the site and the blog. A few years later, they came back to us to update and refresh the website’s design and add extra optons, particularly the ability to include video content. We were delighted to once again help Coaching Connect create deeper connections with their community of professional coaches and mentors.